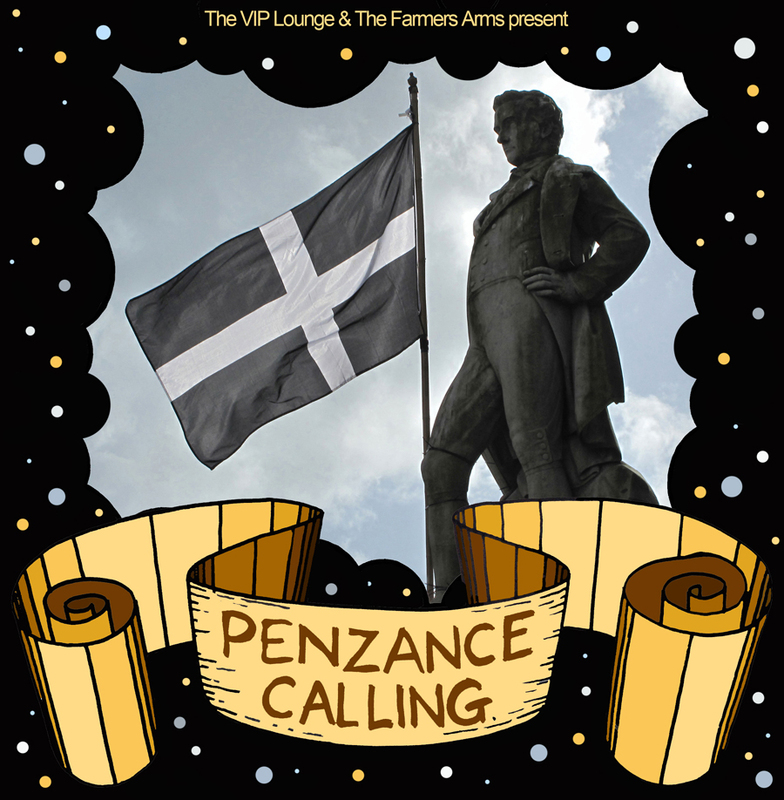 Penzance Calling is a CD put together by Dare Mason of The VIP Lounge, and Taf Thomas of the Farmers Arms in Penzance, showcasing local songwriters and their music! 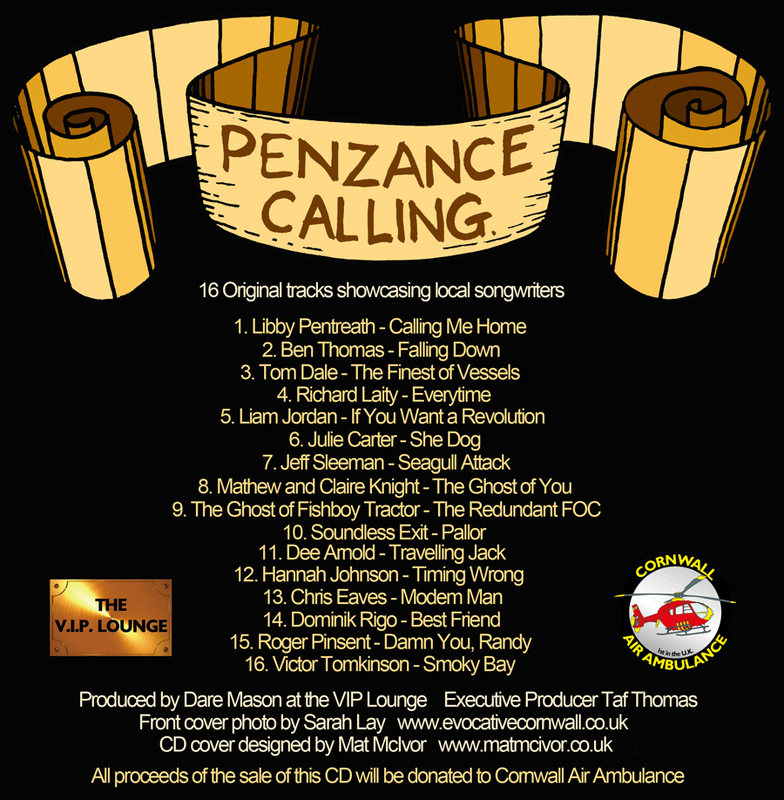 The aim of the CD was to expose local talent, and to raise money for the fantastic Cornwall Air Ambulance, as all the proceeds from the sale of the CD are going to them! The original photo of the Humphry Davy statue in Penzance was taken by Sarah Lay, and then i added all the other stuff to create the cover and layout. The CD is available to buy from The Farmers Arms.